Today’s climate in both the wider church and youth ministry as a whole is one of pursuit – we are all chasing the big guys. We go to summits and conferences they put on, shell over our budgets for curriculum and books they publish, we do everything in our power to mimic those megachurches that we see exploding all around us. This isn’t totally a bad thing, I attend the conferences, I read the books. But, as a pastor who’s worked almost exclusively with smaller congregations, I’ve come to realize something fundamental about youth ministry: Small churches need small ministry. What happens when we chase the mega-ministries? We put ourselves in another ministry’s context. Context is crucial to our ministries. In my time at my current church, the most successful outreach I’ve had was a ukulele ministry that at its height had 12 youth students and an impressive 22 adult students, all learning praise and worship songs on their ukuleles, many of whom were coming from the community and had never been a regular attendee of a church, or played an instrument. This was born out of my current youth learning that I played the ukulele and having the interest to learn how to play as well. The ministry shifted over time and eventually ended. That’s okay because not everyone wants to learn and play ukulele (though they should!). In the context I started with, the ukulele was the way into people’s lives, in my current context, it’s not. My point is that ministry isn’t just a set circumstance, but a series of contexts. Small churches don’t have the same contexts as large churches. They just don’t. And that’s okay. But treating them as the same or leading them the same or even equipping them the same is going to be limiting what the small church ministry can do. So let’s look at some small church contexts so we can better understand the differences and what to do. In every church I’ve worked for, curriculum has always been a struggle. It just didn’t seem to work and thrive. We’d buy the same stuff the church down the street was using, but they’d have hundreds of youth attend while we had a few dozen. After auditing the curriculum purchases we’d made over the last decade, I discovered that they were all published by giant churches and formatted for large-congregation numbers. Small church ministry lives in a context of small numbers. Sunday School may be less than 20 kids of varying ages. An out-of-box curriculum formatted for individual grade classrooms isn’t going to work. I remember one Sunday that the curriculum called for child volunteers to do a skit for the rest of the class, but there were more skit roles than children in that entire class. As a small church, we needed to select or create a curriculum that addressed small numbers and nurtured specifically in that context. When we switched to a one-room schoolhouse format, or later a home-school format, we saw dramatic results in growth, both in numbers and spiritual connection. It was a rocky transition to leave the familiar but unsuccessful history of grade-divided programs, but in the end it worked out well. Small church ministry is all about relationships. That may seem silly to say, since yes, all ministry deals with relationships. And yes, large churches rely on relational ministry, too, but not to the degree a small church and small church ministry do. It’s the support to a parent that is struggling to provide for their children. It’s taking the time to follow up with every single child who missed Sunday School. It’s being a fixture in the lives of every church member in every pew and in every ministry. Small churches aren’t for the lighthearted; they’re for family. Partly it’s the day-to-day nature of a church with lower membership and the need for every giving dollar. Partly it’s the link between smaller churches and rural communities. Mainly it’s that a small group of believers working together need to trust, rely on and love one another to sustain a church. Which leads us to the next context. If you are lucky like I have been, you find yourself in a small church ministry that still is able to fund your position. When I was just starting out, I applied for a position at Willow Creek, a large megachurch if you don’t know the name. It was for an assistant curriculum coordinator position for the middle school ministries. First, that position existed. 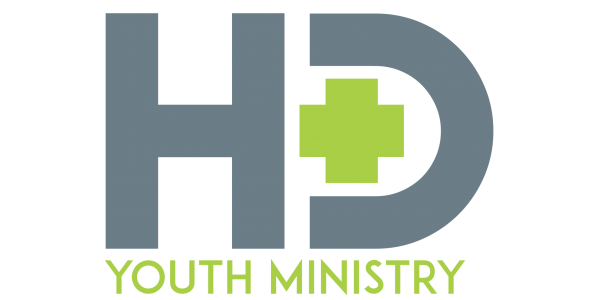 An assistant to a curriculum coordinator for just the middle school ministries. No church I’ve ever worked for has had even a second person in the youth ministry department, let alone enough to explain this job title. Second, I didn’t get this job, as I was under-qualified with only 5 years of youth ministry under my belt and an outsider to the church. Megachurches have the staff and monetary resources to do things differently. I have to do the curriculum coordination for all youth ministries in my current role, and I don’t have an assistant. I have a budget, which puts me above many small church ministries, and I am a full-time employee. I can’t plan a VBS event for 500 students because I don’t have the money or the students. To try to have my program resemble or compete with Willow Creek would just be silly. Small church ministry means being a good steward of the gifts you’ve been given and creative to fill in the gaps. My youth center is more of just a pair of youth rooms. No coffee bar. No gym. No stage. But somehow, we are able to come together and meet each week, learning about Jesus and loving God. That’s what it’s about, not about spending. Again, it seems unnecessary to add this point when I think about it logically, but I hardly ever think about this logically, so here we go. Small church ministries are not going to pull numbers like a megachurch. They have memberships of thousands or people. I understand the math. I’m not stupid. But, I still secretly care about numbers. I want more youth attending. I want a bigger program. Partly because it’s part of how I choose to fulfill the Great Commission, and partly because it’s how I internally gauge my personal success and ability. If I spend my time and energy chasing megachurch numbers in a small church, I will find myself coming up unsuccessful, which can be frustrating. Small church ministry is about small events, small groups, small classes and small contexts. Making disciples is important in every context, so focus on the youth that are in your context first. Growth is great, and should be a goal, but not the main goal. Small church ministries have the gift of smaller numbers and time to pour into each student. Build upon each relationship and connect. You can’t have the same personal connection with 300 students as you do with 15. It’s a blessing to be able to be this relational, so take advantage of it. I know of two youth leaders that are cousins. They work in two different sized churches, one is a megachurch of 6000 members, the other in a small town church of 120 members. Both have had youth grow up to join the ministry, being pastors or ministry leaders in their churches as adults, but somehow the cousin from the small church has had 3 times as many youth go on to serve as pastors. This is not the only way to gauge success and spiritual growth in a ministry, but it does show an example of developing disciples in a personal way that can be harder in a large church setting. There are countless examples of contextual differences a leader should consider when trying to apply megachurch principles, practices or curriculum to a small church ministry, so I hope the few examples listed above help to put you in the right mindset. Small churches are so often considered to be less of a church or less successful than big churches, but we need to move away from that mentality. If we can find a way to refocus on our church’s strengths and context, through a lens of glorifying Jesus, we can do exceptional ministry. And if it ends up involving ukuleles, all the better. This article was originally published by Youth Specialties here.